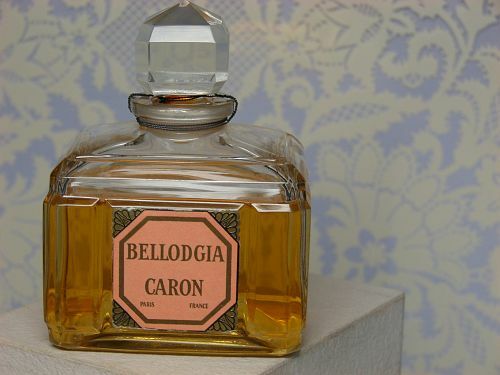 This is a Gorgeous 3.4 Oz Bellodgia Parfum by Caron in Original Box -I believe this is a Baccarat Bottle because of the age of this bottle and box, although I do not see any numbers engraved in the bottle. 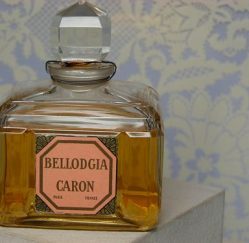 It is huge, as Bellodgia Pure Perfume Bottles go, and I am positive that this is at least 3.4 Ounces, or 100 ml. This is Pure Perfume, or Parfum, and gorgeous!